Home / entertainment / Who Deserves Credit For A Hit Song, The Music Producer Or The Artiste? Who Deserves Credit For A Hit Song, The Music Producer Or The Artiste? It goes beyond just having panache vocals, a popularly known producer giving mad beats and Suka Sounds in the mix. There’s even songs that never saw the light of the charts simply because no proper hype was attached to it, notwithstanding the fact that it checked all the right boxes. In some shores outside of here, songwriters even demand music credits as part of their rights considering they’re the ones responsible for the lyrical framework. More times than not, when a song becomes a hit, the artiste is extolled for his (or her) level of genius exuded on the track and so for the purpose of this post, I shall be focusing on the two parties involved in making the music (sounds), which has largely become the basis for our judgment – the artiste and the music producer. In furtherance to adjudging this matter, it will be noteworthy to always consider the prominence of both artiste and producer, their technical knowledge of their art (singing and music production) as well as the hit songs in question. Let me start with Don Jazzy (I bet you already guessed it), his heavy involvement in music matters not only brought him to the forefront of affairs but has kept him as a constant front row player, which continues to set him apart from his colleagues in the industry. This also explains why almost everyone wants to get him on their track because his records speak volumes. Is it Korede Bello or Dr Sid, even D’Prince, Di’Ja and then Reekado Banks? The trend stays consistent as he continues to churn out hit productions for his Mavin crew. I obviously won’t forget to mention D’Banj and Wande Coal, and how their different paths have swiveled since severing ties with Don Jazzy. There’s also Masterkraft, Tee-Y Mix, Pheelz, D’Tunes, Young John, DJ Coublon and their likes who amidst the tight monopolistic turfs associated with the industry, they still shone through like diamonds from their rough to stealing seats at the high table and eventually becoming the most sought after producers of today. Alternatively, there are instances with some producers where the artiste has succeeded in building a personality that will always overshadow the producer’s works. 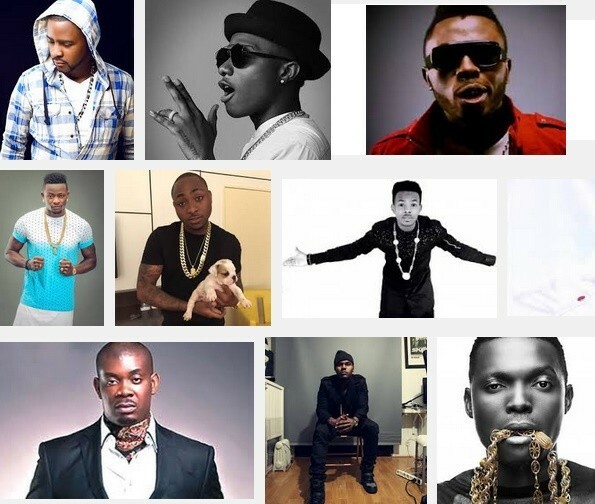 This is evident with the likes of Selebobo and Shizzi whose stellar works can be tied to unarguably Africa’s best artistes, Yemi Alade and Davido. No matter how epoch their inputs are in the music, we might never really get past overlooking Ms Alade and Davido to herald their producers solely for the genius work done on their records. Leriq suffered this feat with Burna Boy as with Del’B who still experiences same with Chidinma, Flavour, Wizkid and even Kcee. For those of us conversant with industry trends, you must have noticed that more producers are turning artistes in a bid to fight this anomaly. Those with vocal prowess have taken to singing while others who have crafted a signature sound, task themselves with doing collabos. Oh, I just remembered Sarz now. He was quite the bad guy then and calling the shots. Although he remains respected but he is hardly ever remembered seeing as he has almost fizzled out into oblivion now. The thought is indeed very painful.Cobhams is another producer whose art is equally vested in the music. His trend isn’t any different and that’s why Timi Dakolo, Dare Art Alade, Bez especially haven’t looked else where since realizing he had already developed a penchant for making their individual magic tick. Even Banky W, when he feels pressed to go back to his roots, he looks no further than Cobhams. Thankfully, this isn’t an ill that has befallen only us here in Nigeria, it’s a global fight that has been on for decades. Producers all over the world are not duly recognized or well appreciated for their efforts and contributions to building the industry. This would explain the movie “Straight Outta Compton” starring Dr Dre, Ice Cube and a couple other international producers trying to pass a message across although from a racial angle but we get the big picture. Some producers never get any attention and the little recognition a few others get, is sometimes not even enough. Now, they have all resorted to lacing their sound tags on every production they ever laid their hands on by a means of announcing themselves (and their works) to the world. Will that ever be enough? Obviously not. Even if it’ll suffice on the interim, how long really will it last?